Mobile App Development | IMMWIT Pvt. Ltd.
IMMWIT extensive mobile app development team can nourish to support your products ranging from web integration to a mobile platform. Our Mobile App Developers team has very much expertise in developing each requirement to accelerate your business to a higher level by providing what exactly your customers would really need to see in your mobile apps. At IMMWIT we scrutinize and suggestions on what approach should be taken for a specific requirement in developing an app, whether to go for a native development or a cross-platform or hybrid approach. We also suggest that on which platform to apply first, whether it would be iOS or android or Windows or all of them at the same time, depending on the type of application and your target users. This helps a lot to our clients in getting to market quickly and budget their investment in the area that would benefit them most. 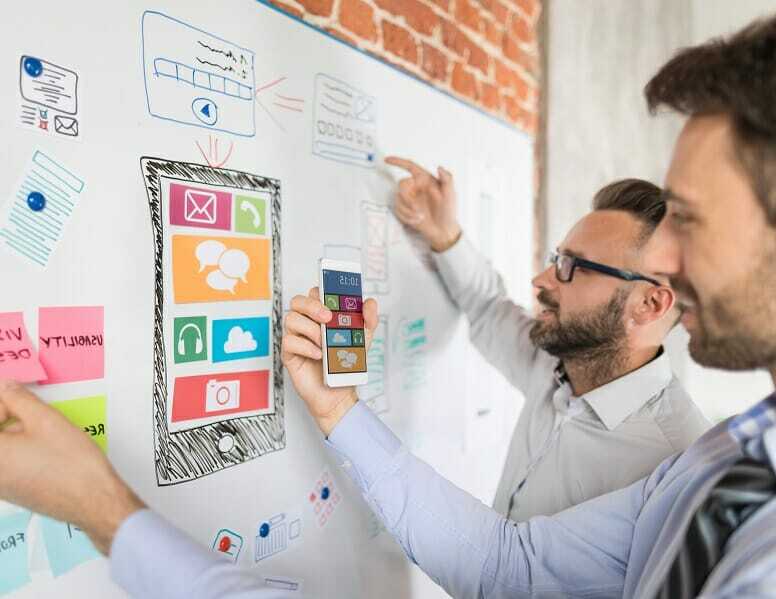 We help by brainstorming on the right approach to going to create a mobile app required to see their new mobile apps succeed and work together as a trusted partner. What do we really offer? This would be the first step we take in trying to understand what the client has in mind-frame and how we can help to develop this idea before developing the app. Though sometimes the market statics data can be a bit confusing during the research, IMMWIT can step in to make you understand the challenges, advantages, and success for a particular requirement through our research team. Our mobile app maker design team is very much expertise to thrill our customer to make them use their mobile app would be the biggest challenge and design would be one of the most important aspects. The limitation of using the app on a small screen can be overcome with a best suitable design and IMMWIT can closely work with the client on that. After understanding the requirements of your app site sharply and clearly the initial planning is completed, the development work is started parallel along with the design phase by our expert mobile app builder and the ones that you can certainly depend on. We have expertise working in both native and cross platform mobile app development. Once the design and development of build mobile app is done then, the most important part would be connecting the mobile application to the right and targeted customers. We help our client to post their apps in the respective stores for iOS, Android, Windows and guide them in getting them trained in managing their accounts by our mobile apps developers. We also help our clients in determining the right marketing strategies to reach their target audience and collect the benefits from the mobile app website advertisement.